There’s nothing quite like having a full day dedicated to wonderful price savings which allow consumers to get their hands on products they may have otherwise been putting off purchasing. 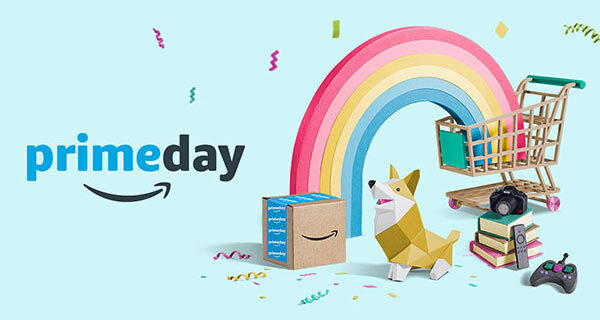 Two years ago Amazon introduced its first ever “Prime Day” day-long celebration aimed uniquely at those who subscribe to its Prime service. After multiple successes with that promotion, it is back once again this year to bring delight to consumers. It makes perfect sense for Amazon to continue offering its annual Prime Day savings. The first ever Prime Day turned out to be more lucrative and financially successful than Black Friday for the company. The web-based business initially introduced that Prime Day initiative to celebrate its 20th year in business, with many thinking it would be a single one-day only event in the company’s history. The success of that shopping day means that it’s now established itself as an annual shopping holiday that most of us look forward to. This time around Amazon has made a very big deal about Prime Day. In multiple countries where the deals are offered, Amazon has taken the opportunity to take out TV and radio advertisements to promote the day ahead of it actually occurring. Of course, that level of promotion has double barreled benefits to the business; it not only promotes the fact that it’s happening and makes consumers aware that there are savings to be had, but it also encourages those consumers to sign up for an Amazon Prime account due to the fact that the savings can only be enjoyed by those on that initiative. And it is definitely worth doing for those who want to introduce some wonderful products into their lives but save money as part of the process. The deals are only available for 1 day, or while stocks of reduced products last. It’s also beneficial in the fact that the deals are offered across multiple categories on multiple different product lines, and are constantly updated and refreshed throughout that 24-hour period. The deals currently being available include – but are not limited to – smart home automation accessories, smartphone accessories, digital cameras, drones, gaming controllers, wireless headphones / earbuds, iPhone / iPad cases, security cameras, video games for PC / PS4 / Xbox One and much more. If you are already an Amazon Prime subscriber then you are perfectly placed to take advantage of the deals below which will be updated continiously throughout the day with new deals added as they appear. If you aren’t and haven’t actually been part of Prime previously, then you can sign up here for a free-of-charge, no obligation 30-day trial to ensure that the deals are all yours. This post will be updated with new deals throughout Prime Day. Keep refreshing for continuous updates.